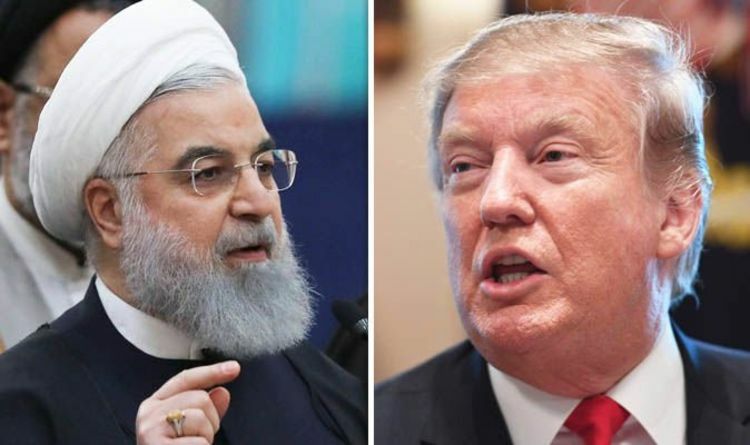 Relations between Iran and the US have soured since President Trump announced he was pulling Washington out of a 2015 nuclear accord and reimposing sanctions. And the situation in Venezuela has strained relations even further as the rival nations throw their weight behind opposing sides in the rapidly escalating crisis. Alongside Russia and China, Iran supports Maduro while the US and most of South America has demanded he step down. Meanwhile, the Islamic Republic today risked further provoking Washington by showing off a new cruise missile. READ MORE: Venezuela crisis: Foreign invasion, military coup or status quo - What’s next for Maduro? Tehran says the weapon can hit targets 800 miles away which puts its regional rival Saudi Arabia well within range. Iran has continued to expand its missile programme, particularly its ballistic missiles, despite repeated warnings from the United States. Defence Minister Amir Hatami said during the unveiling ceremony: "This cruise missile needs a very short time for its preparedness and can fly at a low altitude." However, Western experts say Iran often exaggerates the capabilities of its weapons. In January, Tehran tried to launch a satellite into space but the rocket failed to reach orbit. Washington has warned Iran not to attempt further tests fearing that the same technology used to blast a satellite into space could be adapted to produce long-range ballistic missiles. Tehran insists its space programme, a source of national pride, is purely for peaceful purposes. In addition to concerns over Iran’s ballistic missiles, the US is also keeping a close eye on its nuclear programme. Officials in Tehran announced this week they were preparing to step up their production of enriched uranium. The radioactive element is used as fuel for nuclear power but can also be further refined to create material for atomic weapons. President Trump this week warned Iran remains a “source of potential danger and conflict” but his intelligence chiefs said Tehran is not working to create a nuclear weapon.